EDUCATION Born in Buenos Aires in 1971. First musical education at prestigious Collegium Musicum (choral school) and Conservatorio Juan-José Castro (flute) Professional studies at the Faculty of Musical Science (Argentine Catholic University). Agudin studies conducting with Néstor Andrenacci, composition with Roberto Caamano and Martha Lambertini, music history with Clara Cortazar. Postgraduate studies: Italian Ars Nova (1993-95, with Pedro Memmelsdorff, Bologna, Italy); Voice and Historical Composition (1996-’99, Schola Cantorum Basiliensis, Conservatoire de Neucâtel, Switzerland) PROFESSIONAL ACTIVITIES AS A CONDUCTOR: Agudin is the founder and musical director of the following ensembles : Cappella Obliqua : professional vocal ensemble, founded in Basel in 1999. (ensemble in residence of Brussels Baroque Spring ’02 ; recordings of Bach, Scarlatti, Mendelssohn, Brahms) Opéra Obliqua : young profiled opera company founded in Basel as a development of Cappella Obliqua’s projects. Some productions to be mentioned : Purcell / Dido & Aeneas ’02-’03-Brussels, Switzerland, Jura Bach / Johannespassion staged version ‘04 Basel, Switzerland, Jura Mozart / Zauberflöte ’05 Bern, Torino, Monte Carlo, Saluzzo Pflüger / Schwarzer Mozart ’06, Basel (world première) OSJ_Orchestre Symphonique du Jura : 1st professional symphonic orchestra of the Canton Jura, founded in 2002. The OSJ is formed by young musicians of 15 nationalities, having obtained soloist degrees in major European conservatories, or members of Sinfonieorchester Basel, Tonhalle Zürich or other leading Swiss orchestras. As a project institution, OSJ is administrated by Festival Musique des Lumières. OSJ develops up to 6 productions per season since its foundation. Besides its regular work with musical director Facundo Agudin, it has been conducted by Alexandre Siranossian (director of Romans Music Conservatory) and Emmanuel Siffert (Sinfonica Aosta). In following seasons OSJ will collaborate with guest conductors Karen Durgaryan (Musical Director of Armenian National Opera), Néstor Andrenacci (GCC-Buenos Aires), Philippe Krüttli (St.Imier Conservatory.) OPUS_choeur de chambre : 32 voices - chamber choir. Created in ’01, OPUS collects voice students from different conservatories as well as trained singers. It focuses on romantic repertoire and contemporary music. 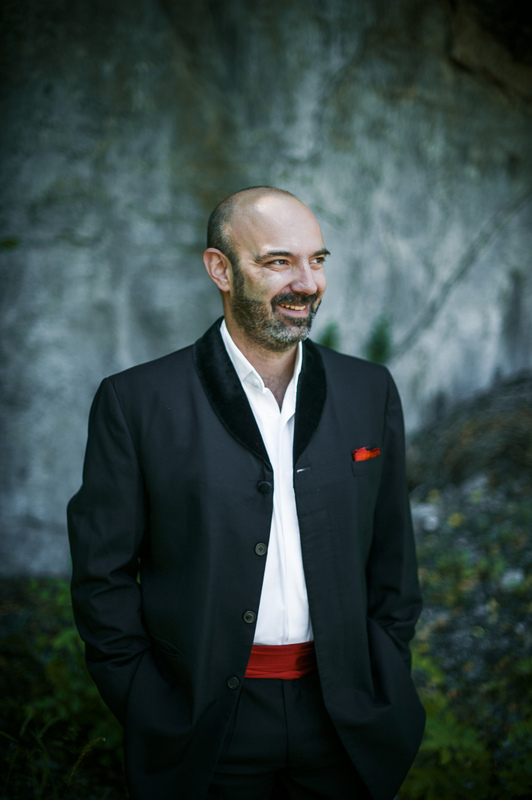 OPUS has recently performed : Haladjian / Missa de Lumine (’04, première) Mendelssohn / Lobgesang (‘04) Rossini / Petite Messe Solennelle (‘05) Faure / Requiem (’06, world première) ACTIVITIES AS PROJECT MANAGER Cultural co-productions Kanton Basel - Canton du Jura : Binational cooperation (Switzerland - Italy) : European Union Chorus / 1st tournée in Switzerland : FESTIVALS AND ORGANIZATIONS Musique des Lumières – Jura Suisse_new international music season. www.musiquedeslumieres.ch Facundo Agudin is founder and Artistic Director since debute-season ‘01-‘02. This dynamic cultural label, thanks to its original programming style, has earned great reputation in Western Switzerland. Every season produces 8 different programmes with 3 to 5 ‘reprises’ each. Musique des Lumières (MdL) has combined the proficiency of young talents with the great potential of advanced music students, creating a wide ambitus of music exploration of highest artistic level in the so-called « Watch Valley », the vast Jura-region between which unifies Basel and Geneva. MdL has established artistic collaborations with Belgium, Italy, Czech Republic, Argentina and Armenia. Summer Festival « Stand’Eté » F. Agudin develops since 2002 the architectural renovation of Moutier’s extraordinary building « Le Stand », and its transformation into a summer opera theater of great acoustics and intimate beauty (City of Moutier, Kanton Bern) The architect bureau Pont Volant (Geneva) is in charge of the project. First summer festival « Stand’Eté » took place in the period of 22.06 to 3.07.05. It’s opening had presented 4 performances of Mozart’s Die Zauberflöte, followed by 6 evenings of theatre, tango and jazz venues. Facundo Agudin is founder and member of the festival’s artistic commitee.